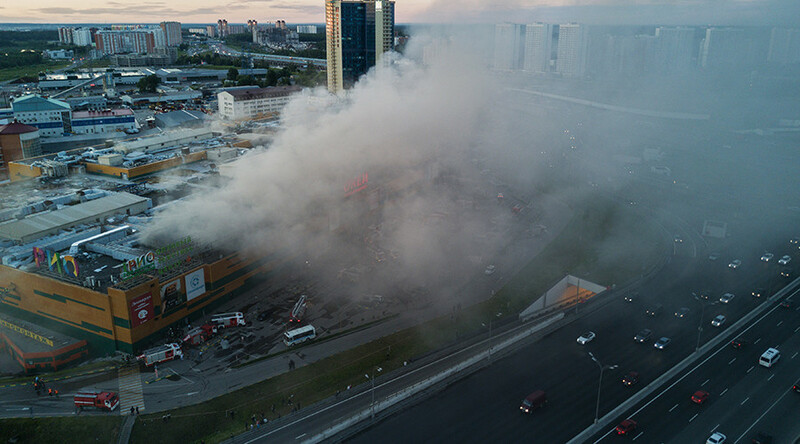 RT spoke to a security guard who saved several people from a blaze in a shopping mall in northeastern Moscow. He almost made it sound like business as usual. 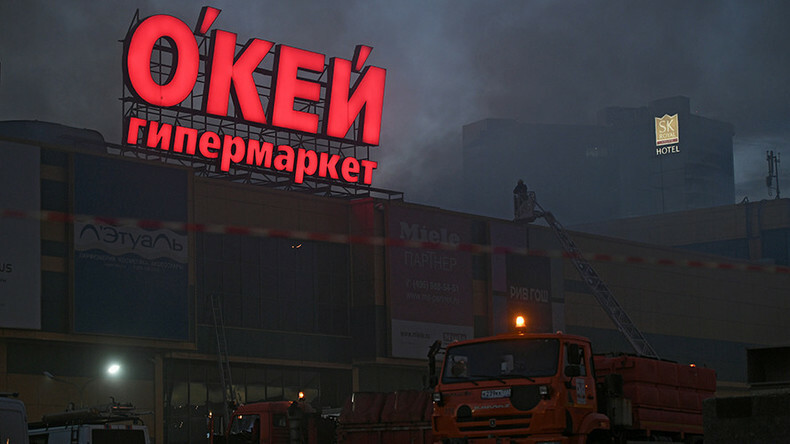 As thick black smoke filled the center, people could be heard crying in panic, Orlov said. The security guards did not, however, allow the shock to take over and followed the fire safety procedures. “Every staff member has their post, and knows how to act in case of emergency. They wouldn’t stammer or run away,” he says. “I found a girl lying unconscious near a bread shop, grabbed her and dragged her towards the exit,” he said. He then ventured back into the smoke-filled mall in a water-soaked face mask to see if any more people were stranded there. Aleksandr had to crawl on his knees where there was less smoke, lighting his way with a flashlight. He recalls helping another man reach the exit. “Yes, maybe I risked my life, but, most importantly, I helped people,” Aleksandr says hesitantly, adding that he does not expect any reward, having personally rescued five people. 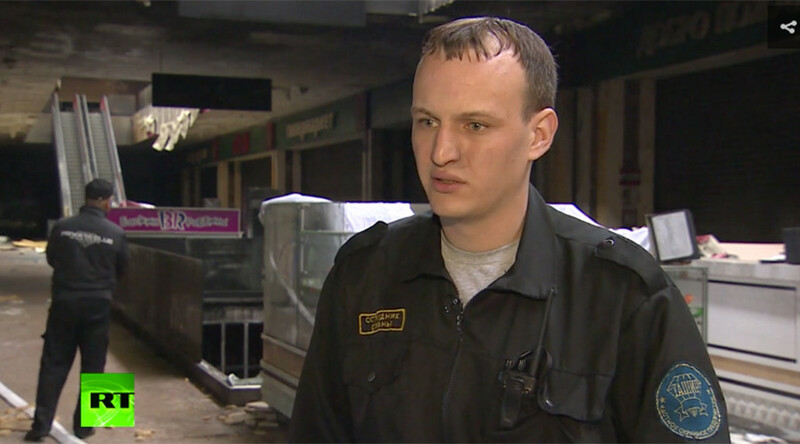 He says there were 18 other members of the security staff who were helping frightened people out of the mall. “They worked very quickly,” Aleksandr says, adding the staff receives daily instructions on safety. Up to 18 people, including a child and a firefighter, were injured in the fire, while around 245 people were battling to extinguish the flames spanning 1,000 square meters.